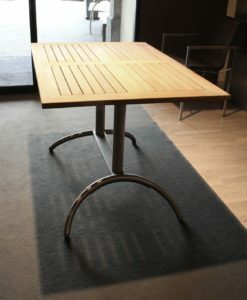 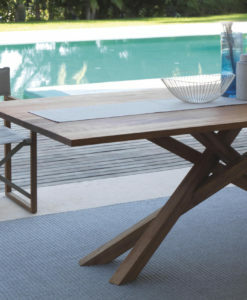 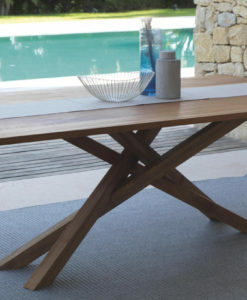 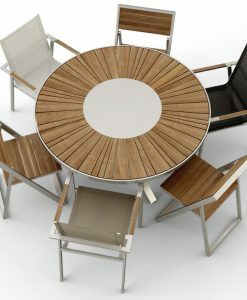 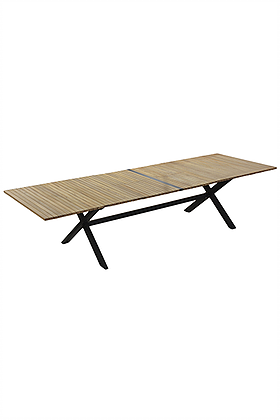 Bertha extendable dining table is a great option for restaurants with 3 options for extending with teak top. 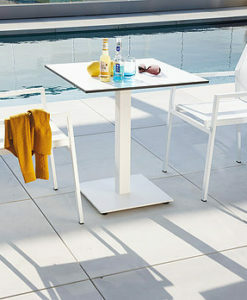 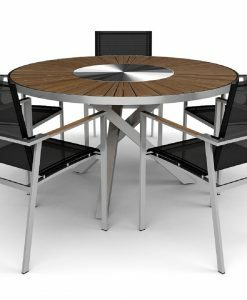 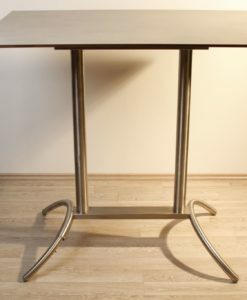 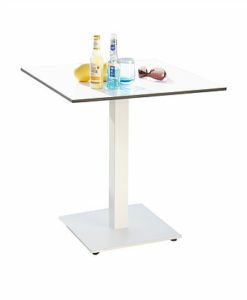 This table comes with powder coated black and white aluminum frame. 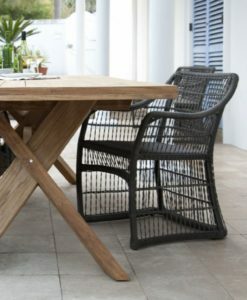 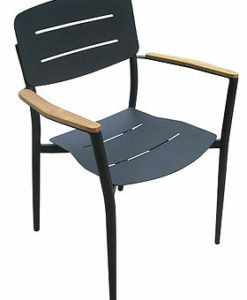 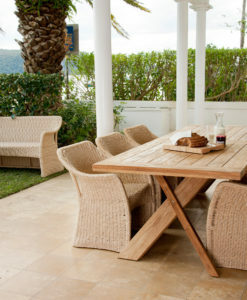 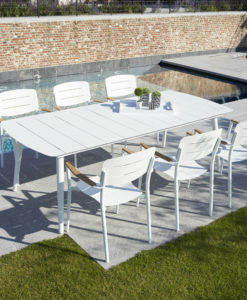 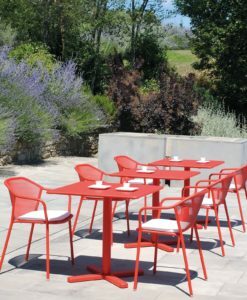 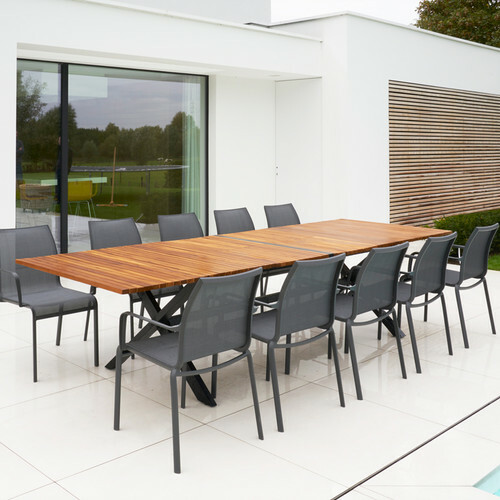 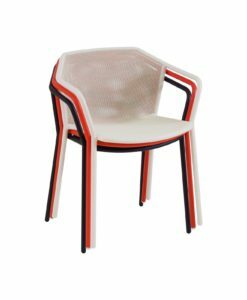 Complete your outdoor dining with matching dining chairs with teak arm rest and batyline mesh. 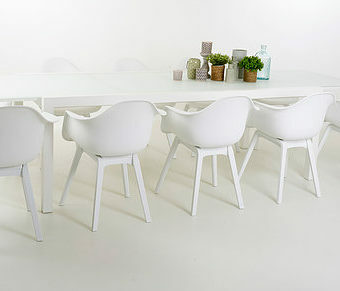 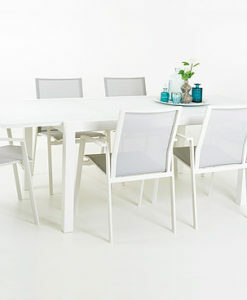 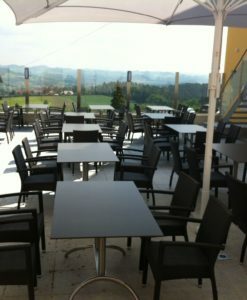 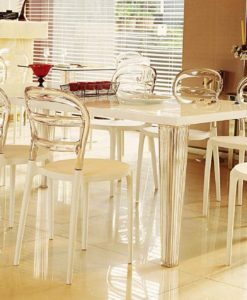 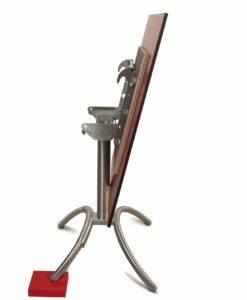 This collection is perfect for restaurants the chairs are stackable easy to storage.